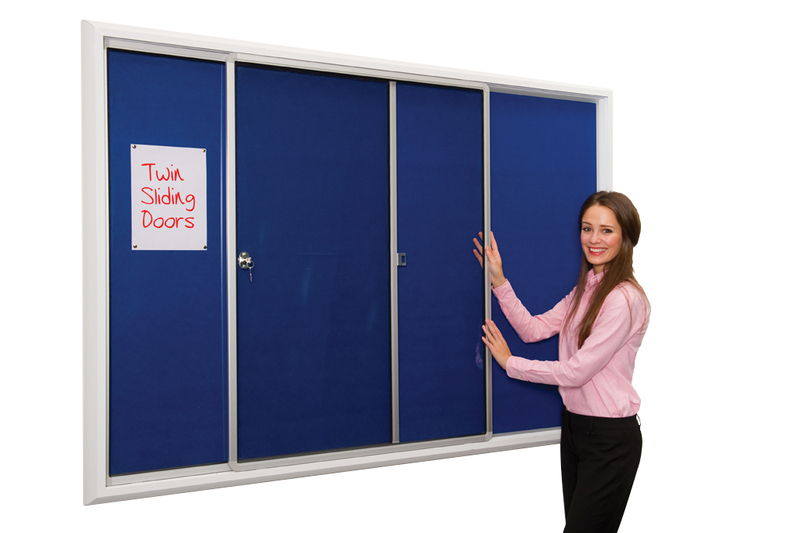 Tamperproof noticeboard with 2 sliding doors which can be locked. Available in 3 sizes. 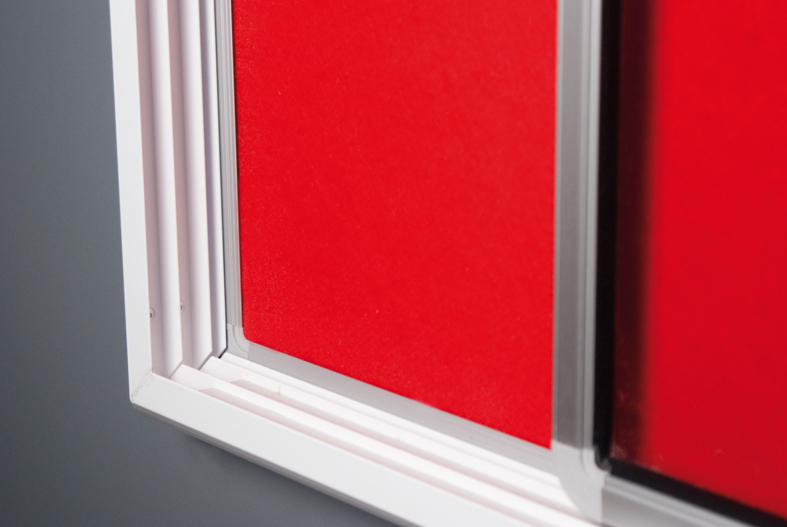 This notice board has an aluminium casing and frame and polycarbonate doors so there is no breakable glass. The board itself is covered with fire rated felt which comes in 4 different colours. An ideal notice board for schools and colleges. Please note: We offers a comprehensive fitting service on all bulk quantities. For more information please Contact Us or call us on 01733 511121. See our wide range of noticeboards. Dispatched within 10 working days.